Best mouse pads yet! No more mouse falling off pad edges, as these vibrant colorful 7" x 9" microfiber mouse pads are as thin as a few sheets of paper. Silicone dots on the back of MMP1 keep the mouse pad from moving about. 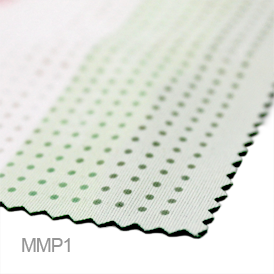 MMP2 has a thin layer on tacky silicone on the back which limits pad movement. When your screen needs cleaning, simply pick up and clean with the mouse pad, replace on desktop, and start clicking again! Also functions as a laptop keyboard protector. 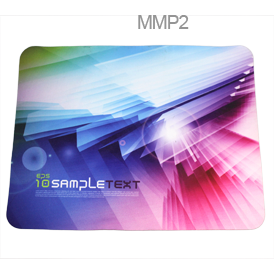 Full color sublimated microfiber mouse pad. $40.00 (G) plus setup. Set-up charge will be refunded with order. 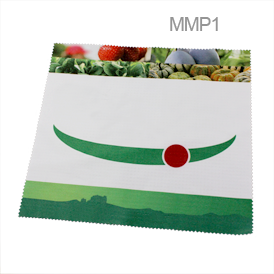 Shipping charge for sample will be incurred for overnight delivery.